I see man engulfed in deep darkness. He has become like a house whose lamp has been snuffed out on a dark night. Something in him has been extinguished. But a lamp that has been extinguished can be relit. I see as well that man has lost all direction. He has become like a boat that has lost its way on the high seas. He has forgotten where he wants to go and what he wants to be. But the memory of what has been forgotten can be re-awakened in him. Although there is darkness there is no cause for despair. The deeper the darkness the closer the dawn. In the offing I see a spiritual regeneration for the whole world. A new man is about to be born and we are in the throes of his birth. But this regeneration needs the cooperation of each of us. It is to happen through us and through us alone. We cannot afford to be mere spectators. We must all prepare for this rebirth within ourselves. The approach of that new day, of that dawning, will only happen if we fill ourselves with light. It is up to us to turn that possibility into a reality. We are all bricks of the edifice of tomorrow and we are the rays of light out of which the future sun will be born. We are creators not just spectators. The need, however, is not only for the creation of the future, it is for the creation of the present itself, it is for the creation of ourselves. It is by creating himself that man creates humanity. The individual is the component of society and both evolution and revolution can take place through him. You are that component. This is why I want to call you. I want to awaken you from your slumber. Don’t you see that your lives have become quite meaningless and useless, totally boring? Life has lost all meaning, all purpose. But this is natural. Without light in man’s heart there cannot be any meaning in his life. There cannot be any joy in his life when there is no light in his inner being. The fact that we find ourselves superfluous and overburdened today is not because life in itself is useless. Life is one endless fulfillment. But we have forgotten the path that leads to that destination, to that fulfillment. We simply exist and have nothing to do with life. This is not living; it is just waiting for death. And how can waiting for death be anything but boring? How can it be a joy? I have come here to tell you this: there is a way to awaken from this bad dream you have mistaken for life. The path has always been there. The path that leads from darkness into light is eternal. It is there for certain, but we have turned our faces from it. I want you to turn your faces towards it. This path is dharma, religion. It is the means of rekindling the light in man; it is giving direction to man’s drifting boat. Mahavira has said for those being swept away by the rapid current of the world, with its old age and its death, that religion is the only island of safety, the anchor, the destination and the refuge. Are you thirsty for the light that fills life with joy? Do you want to attain the truth that gives man immortality? If so, I invite you. Accept my invitation – for joy, for light, for deathlessness. It is simply a matter of opening your eyes. And then you will inhabit a new world of light. You don’t have to do anything else; you just have to open your eyes. You just have to wake up and look. Nothing in man has really been extinguished nor has he really lost direction, but if his eyes are closed the darkness spreads everywhere and all sense of direction is lost. By shutting his eyes a man loses everything; by opening them he becomes a king. I am calling to awaken you from your dream of downfall to the majesty of an emperor. I wish to transform your defeat into victory, your darkness into light, your death into immortality. Are you ready to embark upon this voyage with me? Before we begin our work please accept my love. It is the only thing with which I can welcome you to the loneliness and seclusion of these hills. I have nothing else to give you. I want to share with you the infinite love the presence of God has created in me. I wish to distribute it. And the wonder of it is that the more I share it, the more it grows! Real wealth increases with distribution but the wealth that decreases by sharing is not real wealth at all. Will you then accept my love? I see acceptance in your eyes and that they are overflowing with love in response. Love begets love and hate begets hate. Whatever we give you is returned in kind. This is an eternal law. So whatever you desire is what you should give unto the world. You cannot receive flowers in exchange for thorns. I see flowers of love and peace blooming in your eyes, and I am deeply gratified. Now there are not so many different people here. Love unites and transforms the many into one. Physical bodies are separate and will continue to be so, but there is something behind these bodies that brings people together and unites them in love. It is only when this unity is attained that anything can be said and that anything can be understood. Communication is only possible in love and in love alone. We have gathered in this lonely place so that I can tell you something and so that you can listen to me. This telling and this listening are only possible on the level of love. The doors of the heart open only to love. And remember it is only when you hear with the heart and not with the head that you can really hear anything. You may ask, “Does the heart hear as well?”But I say that whenever there is hearing it is the heart alone that hears. So far the head has never heard anything. The head is stone deaf. And this is also true of speaking. Only when words come from the heart are they meaningful. Only words that come from the heart have the fragrance of fresh flowers; otherwise they are not only stale and faded but are like artificial flowers, made of paper. I shall pour out my heart to you and if your hearts allow me to enter there will be meeting and communication. It is at this moment of communion that the thing words are powerless to express is communicated. Many unsaid things can also be heard like this, and that which cannot be put into words, that which is between the lines can also be communicated. Words are very impotent symbols but if listened to in total peace of mind and in silence they become powerful. This is what I call hearing with the heart. But even when we are listening to someone we are full of thoughts about ourselves. And that is false listening. Then you are not true listeners. You are under the illusion you are hearing but as a matter of fact you are not. For right-hearing it is necessary for the mind to be in a state of perfect, silent watchfulness. You should simply listen and not do anything else. Only then can you hear and understand. And that understanding becomes a light and brings about a transformation in you. Without this state of mind you do not listen to anyone, you just go on listening to yourself. The tumult raging within you absorbs you. And when you are so engrossed nothing can be communicated to you. You seem to be seeing but you do not see; you seem to be hearing but you do not hear. Christ also said, “Those who have eyes to see, let them see. Those who have ears to hear let them hear.” Did those to whom he spoke not have eyes and ears? Of course they had eyes and ears, but the mere presence of eyes and ears is not enough for seeing and for hearing. Something else is necessary and without it the existence or non-existence of eyes and ears is irrelevant. That something else is inner silence and watchful awareness. It is only when these qualities are there that the doors of the mind are open and that something can be said and heard. I expect this kind of hearing from you during the period of this Sadhana Camp. Once you have mastered the art it becomes your lifelong companion. It alone can rid you of trivial preoccupation. It can awaken you to the great, mysterious world outside and you will begin to experience the eternal light of consciousness. That is what is behind the tumult of the mind. Right-seeing and right-hearing are not only a necessity for this Sadhana Camp but are the foundation of all right-living. Just as everything is clearly reflected in a lake that is totally calm, without ripples, that which is the truth, that which is God will be reflected in you when you become calm and still like the lake. I see such silence and calm coming to you and I see your eyes inviting me to say what it is I wish to say. They are urging me to share the truths I have seen that have moved my soul. Your hearts are eager and impatient to hear about them. Seeing that you are so willing and ready to hear me, my heart is impelled to pour itself out to you. In these peaceful surroundings, when your minds are perfectly calm as well, I shall certainly be able to say what it is I wish to say to all of you. It often happens that I must refrain from speaking when I see deaf hearts before me. Doesn’t light remain outside when it find the doors of your house closed? In the same way I often stand outside many a house. But it is a good sign that your doors are open. It is a good beginning. We shall start the five-day program of this Sadhana Camp tomorrow morning and by way of introduction I would now like to say a few things. For one’s sadhana, for the realization of truth, the mind has to be prepared in the way one prepares the soil for the cultivation of flowers. And so, I would like you to bear a few maxims in mind. The first maxim is: live in the present. During the Camp do not be carried away by your habit of thinking about the past and the future. If you allow yourself to be carried away, the living moment, the really important thing will be wasted and will pass away uselessly. Neither the past nor the future exists. The past is only memory; the future, imagination. Only the present is real and alive. And if the truth is to be known it can only be known through the present. During the Camp, please keep yourselves aloof from the past as well as from the future. Accept that they do not exist. Only the moment you are in exists. Only the moment in which you are exists and nothing else. You have to live in it and to live it completely. Sleep as soundly tonight as if your whole past has been cut adrift. Die to the past. And in the morning get up as a new man, because it is a new morning. Let him who went to bed not awaken. Let him go to sleep for good. Let him who is ever-new and ever-fresh arise. To live in the present, keep remembering – and stay on guard twenty-four hours every day to see that mechanical thinking about the past and future does not start up again. Watching is enough. If you watch, it won’t start up again. Watching and awareness break the habit. The second maxim is: live naturally. Man’s entire behaviour is artificial and the result of conditioning. We always wrap ourselves in a phony mantle and because of this covering we gradually forget our real being. Shed this false skin and throw it away. We have not gathered here to stage a drama but to know and to see ourselves as we really are. Just as actors in a play remove their costumes and make up and put them aside after the performance, in these five days, you must remove your false masks and set them aside. Let that which is fundamental and natural in you come out – and live in it. One’s sadhana, one’s path, develops only through simple and natural living. During the days of this Sadhana Camp be aware that you hold no position, have no profession, have no status. Divest yourself of all these masks. You are simply you, quite an ordinary human being with no name, no status, no class, no family, no caste – a nameless person, a very ordinary individual. You have to learn to live like this because in reality this is what you are. The third maxim is: live alone. One’s sadhana is born in complete aloneness, when one is all alone. But generally man is never alone. He is always surrounded by others. And if there is no crowd around him on the outside, he is in the midst of a crowd inside. This crowd has to be dispersed. Inside, do not allow things to crowd in on you. And the same is true for the outside – live by yourself as if you are all alone at this Camp. You don’t have to maintain relations with anyone else. In the midst of these countless relationships you have forgotten yourselves. All these relationships – enemy or friend, father or son, wife or husband – have so engulfed you that within yourself you can neither find nor know your own being. Have you ever tried to imagine what you are, away from these relationships of yours? Have you ever discarded the garb of these relationships and seen yourself quite separate from them? Remove yourself from all these relationships and know that you are not the son of your father and mother, not the husband of your wife, not the father of your children, not the friend of your friends, not the enemy of your enemies – and what remains is your real being. What remains in you is your Self. During these days you have to live alone in that being. By following these maxims you will be able to reach the state of mind that is an absolute necessity for carrying on your sadhana and for attaining peace and the realization of truth. As well as these three maxims, I wish to explain to you the two kinds of meditation we will begin tomorrow. The first meditation is for the morning. During this meditation you must hold your spine erect, close your eyes and keep your neck straight. Your lips should be closed and your tongue should touch the palate. Breathe slowly but deeply. Concentrate your attention on the navel. Be aware of the tremor felt at the navel because of the breathing. This is all you have to do. This calms the mind and stills thoughts. From this emptiness you ultimately go inside. The second meditation is for the night. Spread your body on the floor and let the limbs relax completely. Close your eyes and for about two minutes suggest to yourself that the body is relaxing. Gradually the body will become relaxed. Then for two minutes suggest that your breathing is becoming tranquil. The breathing will become quiet. Finally, for another two minutes suggest that thoughts are coming to a halt. This willed autosuggestion leads to complete relaxation and emptiness. When the mind has become perfectly calm, be totally awake in your inner being and be a witness to the tranquility. This witnessing will lead you to your Self. You must practice these two meditations. But as a matter of fact they are really artificial devices and you are not to stick to them. With their help the mind’s restlessness dissolves. And just as we no longer need a ladder after climbing, one day we have to give up these devices as well. Meditation attains perfection the moment it becomes unnecessary. This very stage is samadhi. Now the night is well advanced and the sky is filled with stars. The trees and the valleys have gone to sleep. Let us also go to sleep now. How quiet and silent it all is! Let us also merge into this peacefulness. In deep sleep, in dreamless sleep we go to the very place where God dwells. This is the spontaneous, non-conscious samadhi that nature has bestowed upon us. With the help of this Sadhana Camp we can also reach the same destination. But then we will be conscious and aware. This is the difference and it is a great difference indeed. In the former we are asleep; in the latter we are wide awake. Let us now retire into sleep with the hope that we will attain samadhi. When our hopes are accompanied by determination and right endeavour they are bound to be fulfilled. May God guide us along the path. This is my only prayer. 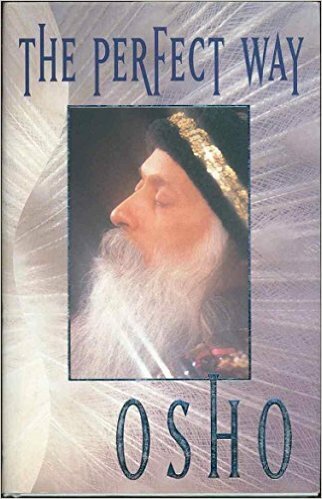 You can read the entire book online at the Osho Library.